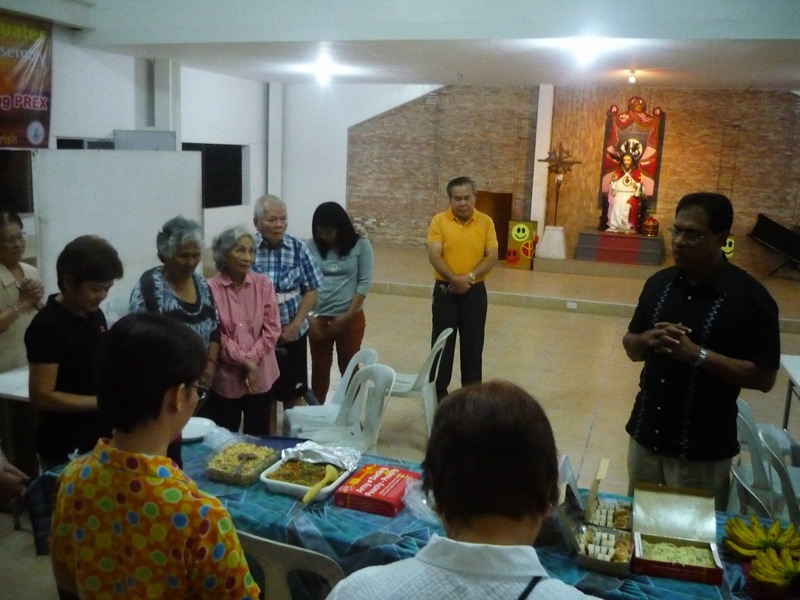 It was last March 10, 2014, a quiet Monday evening in the parish when a few parishioners gathered at the Formation Center for a simple dinner. Preparations were underway a little before 7PM when chairs and tables in the FC were being arranged for special visitor. As we were walking towards the FC by the side of the Pangilinan’s store, we heard voices coming from the darkened church moving towards us in the unlit church driveway. We saw a black car parked in front of the adoration chapel but we could not see if there were passengers inside. We slowed a bit and then there he was with a companion coming out of the darkness and walking towards us. After a few seconds of eye contact, we both realized it was our guest for dinner. With jovial ‘How are you?’ and hugs, the reminiscing began. 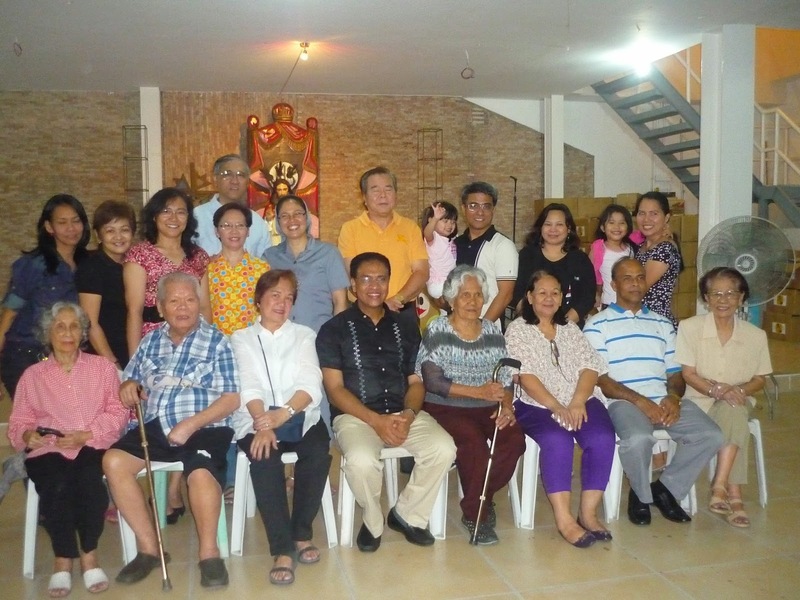 Together, we then proceeded to the FC where our other parish friends were starting to gather in preparation for dinner. Soon as we reached the FC, those gathered immediately recognized him. Everyone was elated that he had arrived and once again set foot on SLRP grounds, the grounds he would regularly walk on back in the 1990s when he was a guest priest working for his Master’s degree at the Ateneo. Flashbacks and stories of years past came hurtling out of everyone’s mouth. Everyone had a personal story to share of their encounter with the guest. With a simple potluck dinner of pancit, fried rice, lumpia, kakanin and cake, there was enough for all who came. 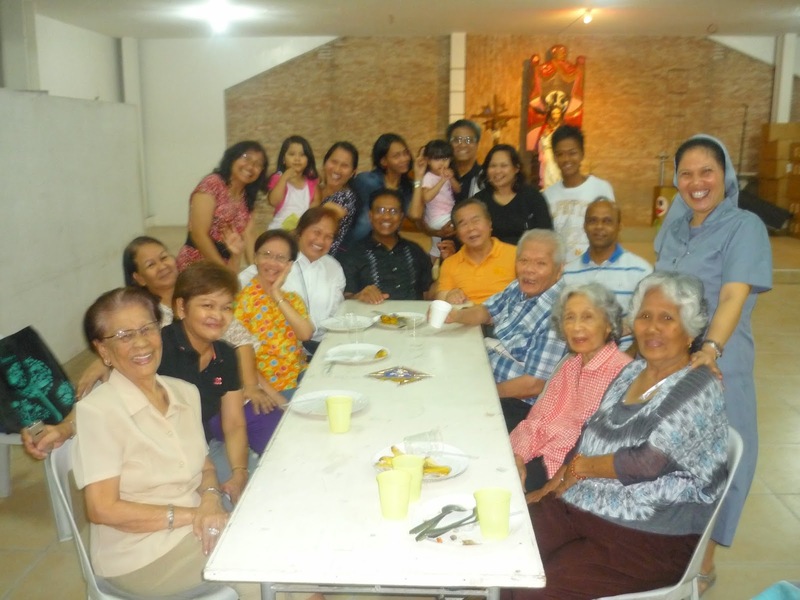 Together with the food, the stories were overflowing, the picture taking was overflowing but most especially the good feeling of just being together and recalling those earlier years of parish building will definitely remain in the hearts and minds of those who came. As with all good things, it had to end. After about 2 hours, our guest and dear friend of SLRP, Rev. Fr. Paul Karedan, had to bid farewell. There was of course the group photo (my how every one has aged beautifully!). Before he left he gave each of us a rosary and a 3D picture of Pope Francis. In return, SLRP presented him with the 25th Anniversary coffeebook of the parish to remember us by. Our heartfelt thanks to Ate Alma Pederes for coordinating this memorable affair.